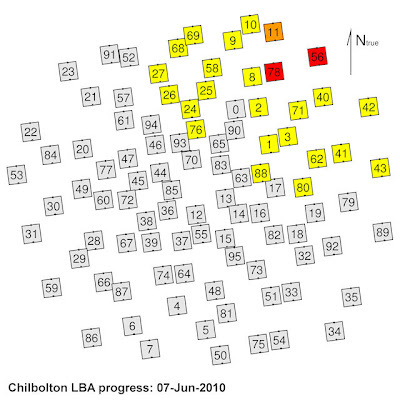 Today was day 1 of the LOFAR LBA build. 22 antennas were completed. 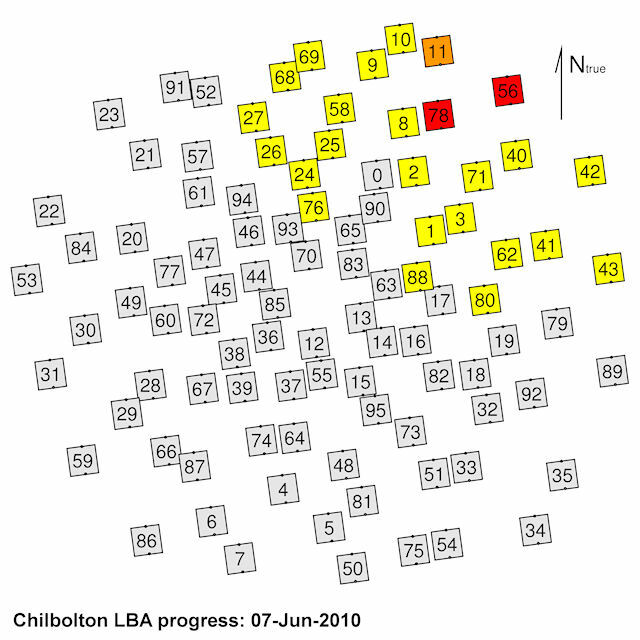 Here is the updated progress map - today's completed antennas are coloured in yellow.